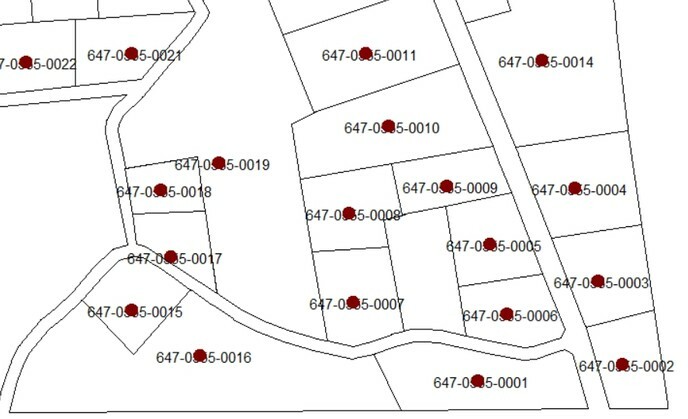 Parcels, which have been imported into the Permit Database from the Local Plan GIS file (see Chapter 8.5.2.4) and possibly edited with additional data or links (see Chapter 8.5.2.2), can be retrieved by a wide range of options through Permit Tools > Parcel > List / Map. 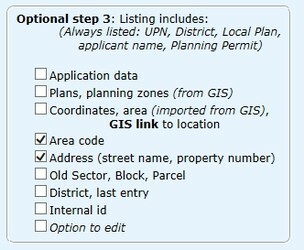 You can select by UPN, planning zone, x/y coordinates, area code, Local Plan, street name. All displayed listings are also transferred into a CSV file for import to an Excel file.